Love is always a risk. Fear of rejection, failure, pain. Issy Presley has fears. One of them is leaving her home or backyard–but she wants to. She’s tried. She’s prayed. Fear keeps her locked away. She works in the backyard, taking over her mother’s garden after she died tragically and she’s the secret host for a night time radio talk show–My Foolish Heart–where she gives advice on romance and dating. Don’t settle for a man who isn’t a perfect 10 on your list! She’s never met her perfect 10. She’s never dated at all. Enter, Caleb Knight–an ex-college football star, and a wounded ex-soldier. 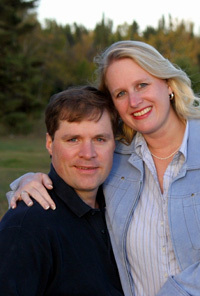 He wants a normal life in the small town of Deep Haven and hopefully the high school football coaching position. He isn’t looking for love, but when he meets his next door neighbor–Issy–things change. He decides to enlist some help from a woman he hears on a late night radio show. Miss Foolish Heart. She has all kinds of advice to share with him to win his next door neighbors heart. 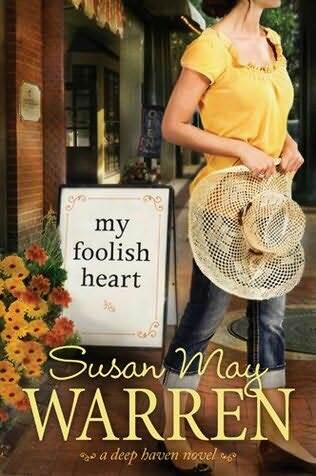 I think I love me some Susan May Warren! The characters became my friends. Deep Haven became my home. I laughed and sighed at the romance. Pitter-patter sweet romance. The sub-plot with her friend Lucy and the ex-boyfriend coming back to town was just as good as Issy and Caleb’s. A great book. I appreciate Tyndale House for giving me a complimentary copy to review! Perfect love casts out all fear. Enough said. “Unknown to her tiny town of Deep Haven, Isadora Presley spends her nights as Miss Foolish Heart, the star host of a syndicated talk radio show. Millions tune in to hear her advice on dating and falling in love, unaware that she’s never really done either. Issy’s ratings soar when it seems she’s falling in love on-air with a caller. A caller she doesn’t realize lives right next door. Who would play YOU if your life was going to be made into a movie? I gotta tell ya, that’s not a shabby way to start out a book. I’m hooked! You judge me, but you know the minute you saw that line, you wanted to read this blog. 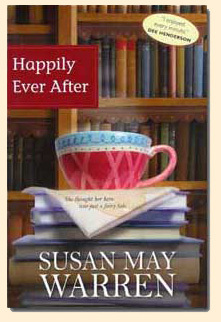 Happily Ever After was a free book at the kindle store, check it out it still may be. It’s not necessarily the title or the cover that grabbed my attention, although I love happy endings and books with coffee or tea. It was the word FREE that snagged me. However, that’s not what held me. I’ve downloaded tons of free books, read a few pages and realized they just weren’t my thing. Have you ever read that one book, you know was meant for you for that particular time in your life? That’s what Happily Ever After was for me, proving once again that fiction does minister, teach lessons, and touch lives in ways other things can’t. God knew I wasn’t going to be watching TV for two days, or venturing out to hang with friends (I’m slowly getting better. Read my blog for New Year’s Plans), but He did know I’d be reading. This book was a touching romance with humor that I found funny. The theme of the book was about dreams. 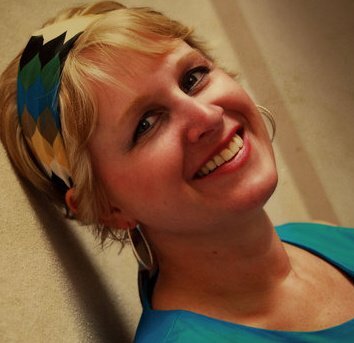 Mona Reynolds had dreams of making an old Victorian house into a bookstore and coffee shop. She’d been saving for years to make it happen, and when she finally had it in her grasp, one thing after another taunted her into believing it never would. I had a rough week before I settled in with Susan’s book. I’d had a few doubts and unsettling moments related to my dream. I switched on my kindle, and picked up at the scene where Mona is giving up. Disappointment has overshadowed all the small successes and breakthroughs. Her quirky friend, who I could so relate to if I was having a good day, told her that God doesn’t give you a dream only to yank it away and laugh at you. I needed to read that statement. At that moment. If you have dreams, God given ones, don’t give up, and also…read this book. Now, I will say that her twists were predictable, but she hinted enough that she wanted the reader to guess them. And even though I knew what those were, the book held me and kept me engaged. My heart swelled when the hero swooped in at the end and saved the day. Literally I whooped and laughed out loud! I love books that make me fall in love. It also touched on subjects of guilt, forgiveness, Down Syndrome, and faith. I had never heard of Susan May Warren before the free download, but I’ll be sure to mark her as an author to read and follow. I hope you will too! You can click on her name and read her first chapter on her website, if you don’t believe me…but…you know trust me!